You can embed your own images into a preset by adding them with the 'Add Image' button. Once you save the preset using the + symbol in the bottom left corner your preset will permanently keep this image and remember exactly how you had it for future use. 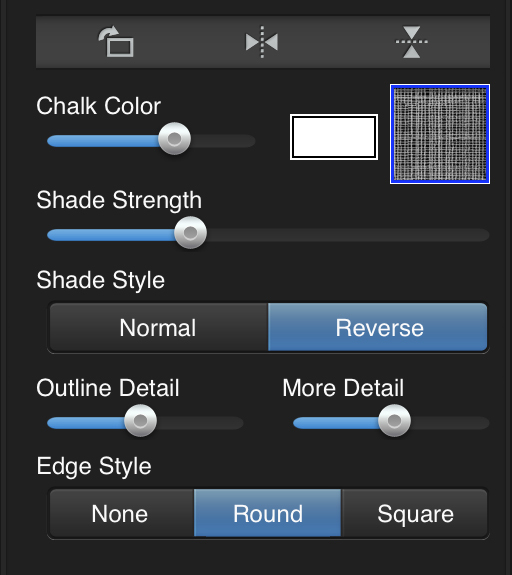 Chalkboard Color - You can remove the chalkboard color (background) and save it with a transparent one by first clicking first on the 'Chalkboard Color' box then adjusting the 'Alpha' slider to 0 (shown below). This powerful feature allows you to apply chalk to your own backgrounds. 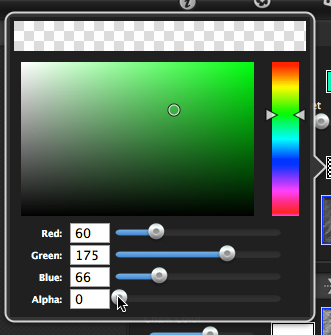 Alpha Slider - Once you've clicked on the color box the color picker will open. Find the bottom slider named 'Alpha' and change it to 0. This will remove the chalkboard color making the background transparent. NOTE: **When you save it is important to save the file as a .png otherwise a white background will be applied if saved as a .jpg. To select to objects or text behind another object; click to the side of the document to turn off the selection lines, then roll over the objects with your cursor. Once the object you want is highlighted then click to select it. NOTE:** If you can't get to an object keep repeating this. 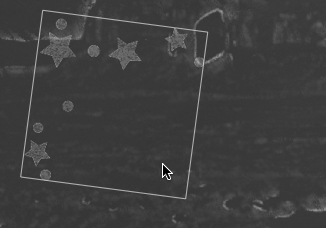 Each time you click to the side of the document it brings the rear objects forward. 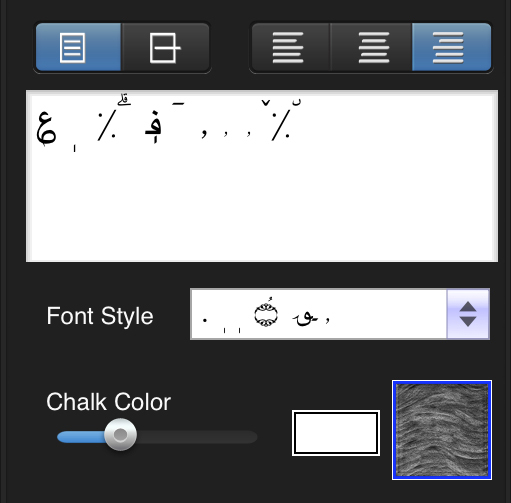 Eraser Tool - Displays the Eraser Tools allowing you to remove chalk in unwanted areas. Eraser - Use this to erase brushed on color. Use the brush size and slider to change the size of eraser. 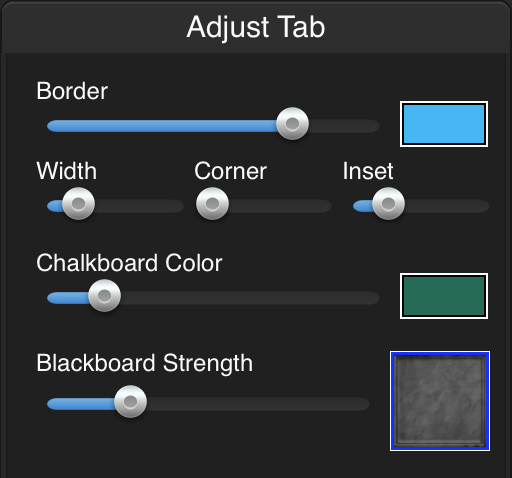 Blackboard - Choose a texture for your Blackboard and use the slider to adjust its opacity. Once you have applied a preset and modified it using the Adjustments Tab, you can save your own custom preset by clicking the Plus Symbol in the bottom right corner. To delete a preset click the Minus Symbol which is located in the bottom right corner. Then click the X on the preset you wish to delete.